A set of twelve unframed copper plate engravings with original hand colour finish by George Edwards (1694- 1773). Originally issued in the "Gleanings of Natural History " a trio of volumes published in 1758, 1760 and 1764. Some signed in the plate. 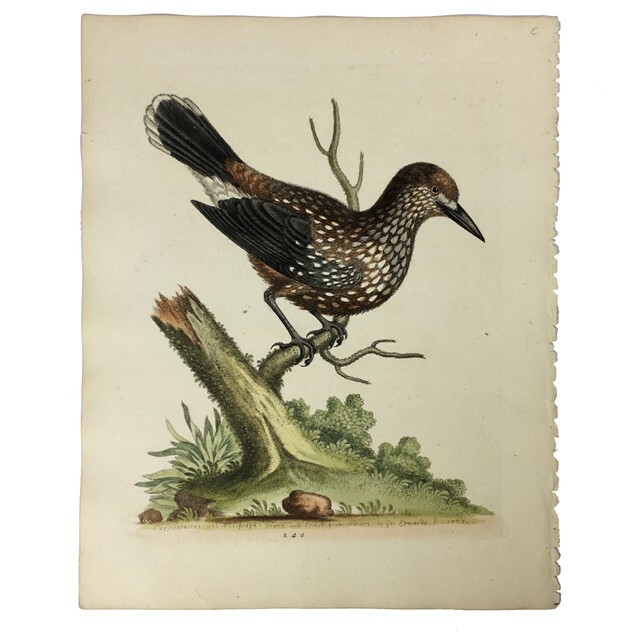 Known as the father of British ornithology and regarded as England's foremost naturalists during the age of enlightenment, Edwards was appointed to the prestigious position of librarian to the Royal College of Physicians in London 1733.